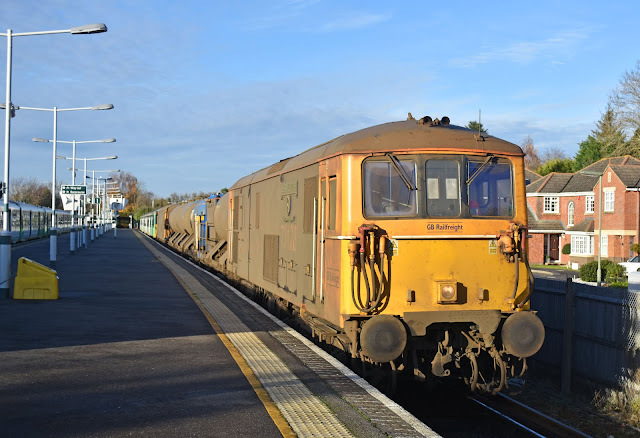 73201 Broadlands approaches Kingswood on the Tattenham Corner branch in Surrey on 17th November 2017 with the 3W91 RHTT based out of Tonbridge Yard and operated by GBRf. The train visits several commuter railways which do not see loco hauled traffic. West London Line onto the Brighton Main Line. In early December the last of the Autumn Rail Head Treatment Trains ran on the network for 2017. These trains provide interest annually covering a variety of lines which may not regularly see loco-hauled traction for the majority of the year. 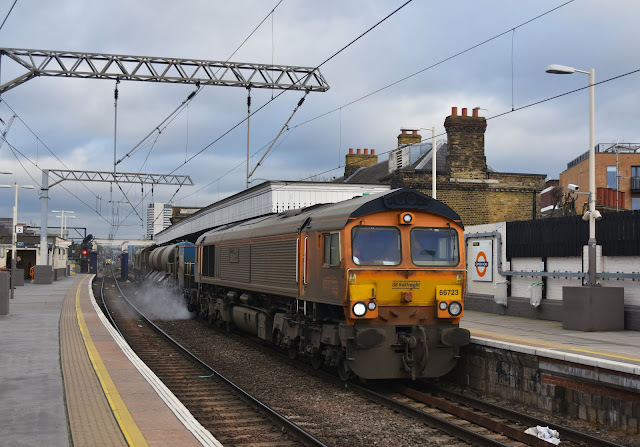 Trains are supplied by all of the major freight companies which also brings a wide selection of traction which this year has included class 20, 37, 56, 57, 66, 67 and 73. 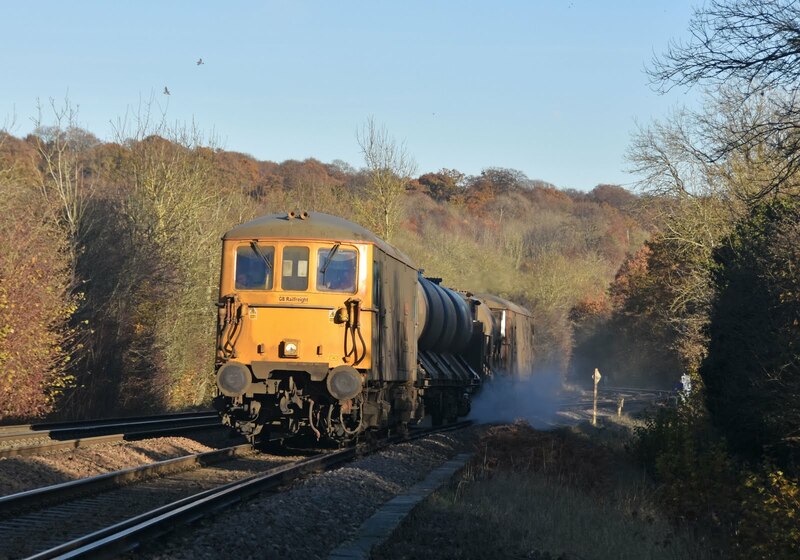 The trains jet the rails with water at high pressure to remove a build up of leaf mulch which affects both adhesion of trains and can also interfere with detection of trains by track circuits. 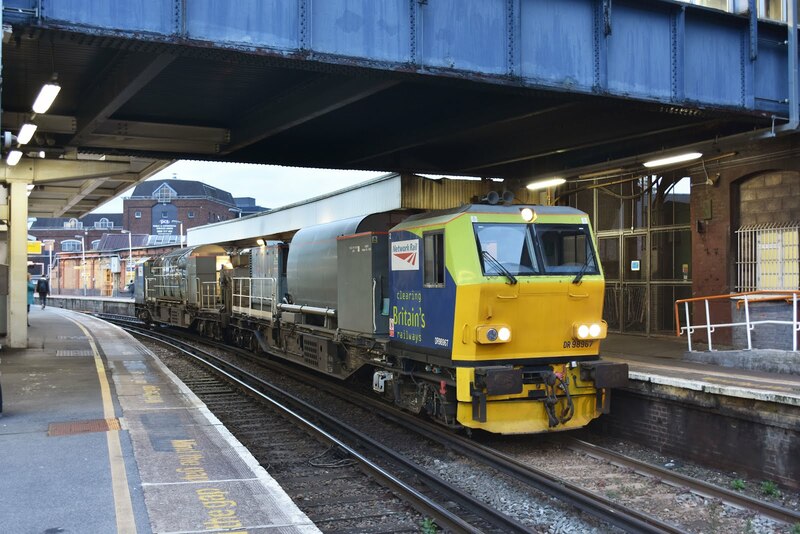 As well as loco-hauled RHTT sets Network Rail also use their Multi Purpose Vehicles for many circuits which undertake jetting and can also apply an adhesion modifier to the rails in the form of Sandite paste. 20303 and 20305 have been the regular traction for the DRS operated South Yorkshire RHTT during 2017 with 20312 providing backup. 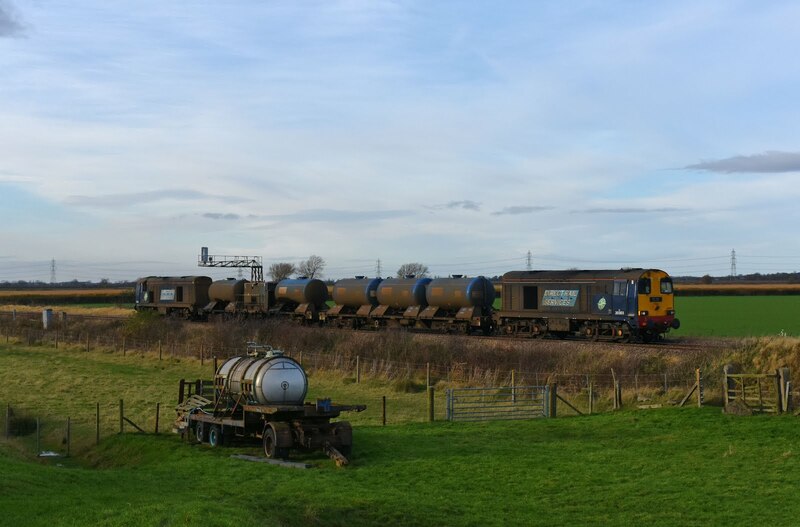 Class 20's have been used on these workings once again due to weight restrictions, the DRS fleet now seeing very limited use aside from these duties. Once again 2017 has been mooted as the last year for the DRS class 20's on RHTT duties- only time will tell! 20303 'Max Joule 1958-1999' (re-named from 20301) and 20305 approach Brough with the 3S14 circuit from Sheffield to Hull on 18th November.